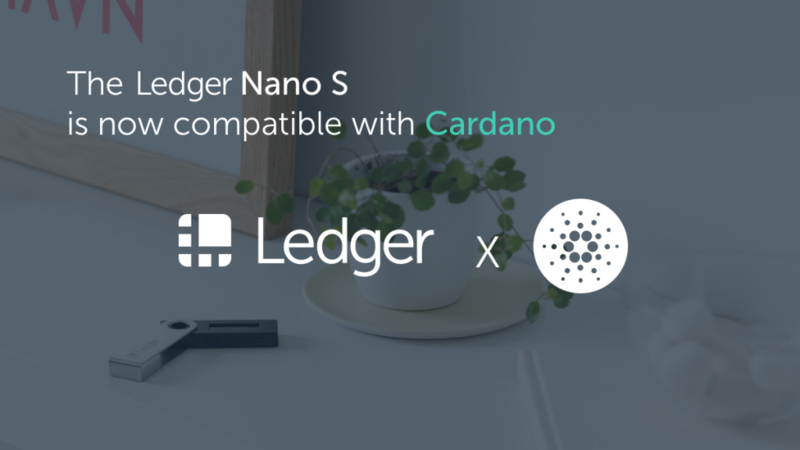 Ledger, a leader in security and infrastructure solutions for cryptocurrencies and blockchain applications, and EMURGO – the official commercial arm of Cardano, the first peer-reviewed third generation blockchain – are excited to announce full integration of Cardano’s ADA with the Ledger Nano S. The popular hardware wallet is now compatible with Cardano’s ADA, enabling investors to protect their private keys through Ledger’s hardware wallets and gain access to their ADA with enhanced security. The Ledger Nano S is fully compatible with the EMURGO-developed Yoroi wallet, the first official companion app to support the Cardano Ledger hardware wallet. Much like EMURGO’s official Yoroi wallet, the Cardano application can equally be used with the ADALite wallet. This initiative has been sponsored by the Cardano Foundation through funding for the development of the Cardano Ledger app and associated software libraries. This work also benefited from the support of Vacuum Labs and IOHK’s development team. Ledger has sold more than 1.5 million hardware wallets globally and is the de facto leader in the hardware wallet industry. Earlier this month, the Ledger Nano S received the CSPN certification, making it the first and only certified hardware wallet on the market. A recent study by Ledger found that there was over $850 million stolen from cryptocurrency exchanges in 2018, underlining how the security of crypto assets remains a legitimate concern. Storing private keys on a hardware wallet is widely considered one of the safest options for crypto investors. Ledger uses state-of-the-art Secure Elements to protect this vital data from a large variety of physical attacks. On another note: we have been looking into – and working on – opening up more storage for the Ledger Nano S. We expect to have an updated Ethereum application, which will be significantly smaller, early next week.